If you are not redirected automatically, please click the link to continue to the NeuroSolutions Pricing/Order Page. For other upgrade related discounts please refer to Upgrade Information. Amounts listed in US Dollars. Prices effective October 23, 2013; subject to change without notice. 1. Shipping cost and Bank fees are non-refundable. The Source Code License, OptiGen Library, Interactive Book and Hardware Key are non-refundable. 2. 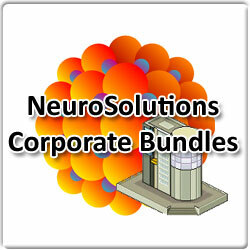 The Developers level of NeuroSolutions include pre-compiled libraries for Visual C++ 6.0 to 2012 for Windows. Other compilers/platforms require the purchase of the Source Code License. Each purchased license allows unrestricted use of compiled recall networks, while compiled learning networks are restricted to machines owned by the licensee. A signed Software License Agreement (SLA) is required before activating the software. * Buyer is responsible for all import duties and/or VAT (Value Added Taxes). 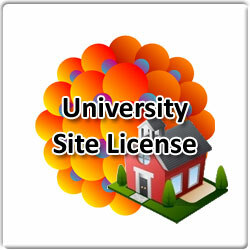 University Site Licenses are tailored to meet university budget allowances that are not often the most elaborate. The University Site License includes (1) Instructors version and UNLIMITED Student versions for your class/lab environment. NeuroSolutions Corporate Bundles are tailored to meet the needs of independent consultants all the way up to large corporations. With the complete array of NeuroSolutions products at your finger tips users are able to analyze, design and deploy their solutions.